Dorothy Irene Keller, 80 years died Sunday, January 20, 2019 at Woltz Hospice Home in Dobson, NC. Dorothy was born March 12, 1938 near North English, Iowa, a twin daughter of John G. and Gladys U. (VanDee Kerkove) Keller. She graduated from St. Elizabeth’s Catholic High School in Harper, Iowa in 1956. Dorothy committed her life to the Lord in 1966 with Catholic missionary work in the rural southern USA. She took up residence in Jefferson, North Carolina in 1991. 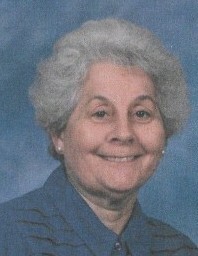 She continued to be active in the Catholic Church in Alleghany and Ashe County. She was a certified nursing assistant and assisted in the care of others. She later delivered mobile meals to the homebound in rural Ashe County, NC. Dorothy is survived by six brothers Carroll and John L. of Arizona, Darrell, Eldon, Gary and Richard of Iowa, two sisters, Doris Keller (her identical twin sister) and Karen Nieto of Elkin NC. Dorothy was preceded in death by her parents, and eight brothers and sisters, Kenneth, Marian, Mary Etheldene, Glenn, Francis, Mary Catherine, Kevin and Robert. Funeral mass will be held at St. Francis Catholic Church in Jefferson, NC on Saturday, January 26, 2019 at 11:00 am. The family will receive friends one hour prior to the mass. Burial will follow in Mt. Zion Church Cemetery in Piney Creek. The family requests memorials be made to Woltz Hospice Home in Dobson, NC, www.mtnvalleyhospice.org. Ashelawn Memorial Chapel & Gardens was entrusted with Miss Keller's arrangements.